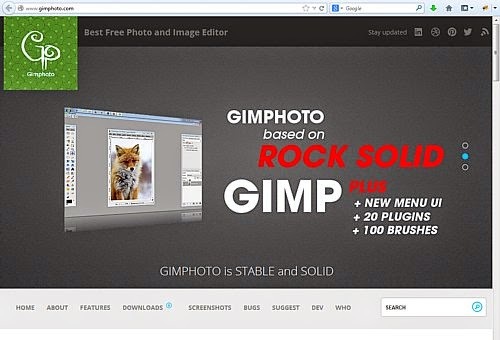 "Gimphoto has been tested in the Softpedia labs using several industry-leading security solutions and found to be completely clean of adware/spyware components. We are impressed with the quality of your product and encourage you to keep these high standards in the future. 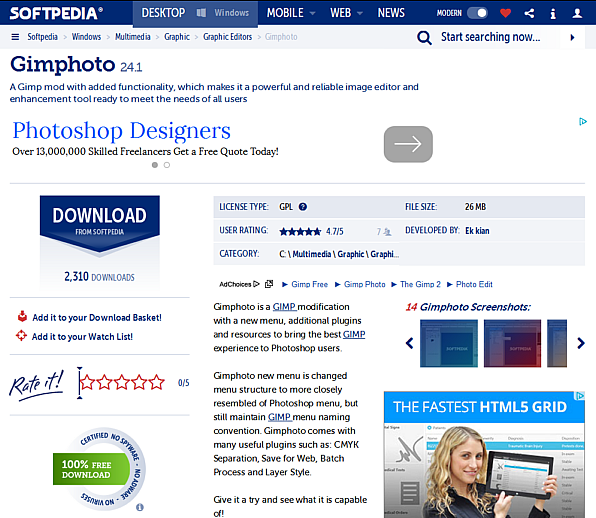 To assure our visitors that Gimphoto is clean, we have granted it with the "100% FREE" Softpedia award. To let your users know about this certification, you may display this award on your website, on software boxes or inside your product." But later there is many complaints about free file hosting providers that we used, so we must find another solutions, thanks for our friend at Blender Artists forum that told us about Google Code, the new services by Google to host open source projects for free and that day we directly register new account for Gimphoto. Even Google Code kindly approved our request for bigger space and got 2 Gb from 200 Mb but sadly now we heard that Google Code is closing its services because many projects already move on to Github, Bitbucket or Sourceforge. 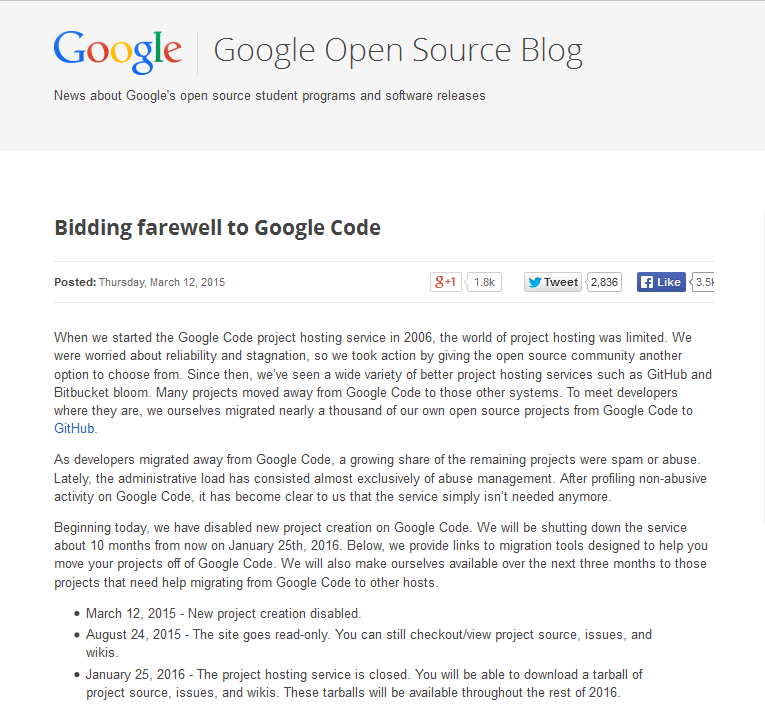 Now every project at Google Code have 10 month time period to moving its files to another project hosting. After more than 7 years since 2008 using the same simple theme for Gimphoto website, now it's time to refresh the look of Gimphoto website with new more modern and stylish design. The new design is also using responsive design so it can adapt with many different screen resolutions from desktop monitors to mobile gadgets. Many old website functions already implemented and tested on this new website design but many more improvements will be done in this month. We hope this new website design can serves you better. BEST WISHES for ALL GIMPHOTO USERS! 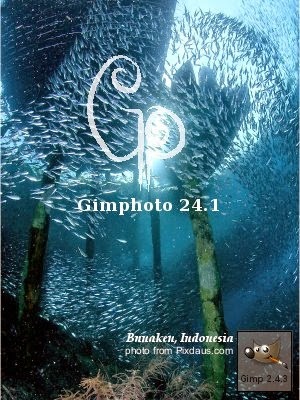 Gimphoto 24.1 - Bunaken for Windows is released. 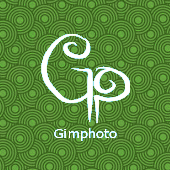 Gimphoto 24.1 is Gimphoto 1.4.3 repackage with several improvements and new installer that compatible with Windows 8 and Windows 8.1. After 1,5 year in the making, today Gimphoto 26.1 for OSX is released. 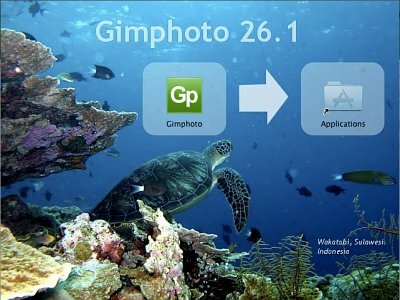 Code name for Gimphoto 26.1 is Wakatobi. Gimphoto for OSX is only for Intel Mac and tested using Snow Leopard 32 bit and 64 bit. This Gimphoto version is based on GIMP 2.6.8 for OSX from http://gimp.lisanet.de so it will need X11. Modification is done at binary level and not compiled from source because i still failed after many attempts to create Gimphoto packages either using gtkosx native or using macports, but for next version i will try to compile it from source, develop the dmg package by myself and i also try to create Gimphoto Native without X11. Usually i hosted file at Googlecode but Googlecode not support upload via FTP then i decided to use Sourceforge.net because SF support FTP upload that will help me to upload 70Mb using my slow Internet connection. 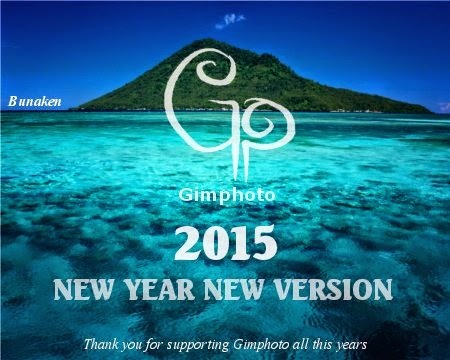 I hope in this new year i can deliver Gimphoto for Mac and the NEXT version of Gimphoto based on GIMP 2.6.8. I'm sorry, i can't deliver Gimphoto for Mac on 2010 like i promise. Gimphoto for Mac menu modification is done and the additional script also already done but i have 2 BIG problems that stopped me to finishing Gimphoto for Mac. - The GIMP plugin can run well but Script-fu can't run with Gimphoto for Mac on my system, i think maybe there is a problem because Gimphoto compile system is for 64 bit system but it is running on 32 bit system, i will check it further. - Create App bundling (DMG) under Mac is more difficult than i thought before, so my Gimphoto for Mac is running in my system but it is difficult to install it on other system because we need to compile everything (GTK) from source, i need learn more about this.